You won't have to beg your parents to have this puppy hanging around. A basic jump that provides hours of entertainment. 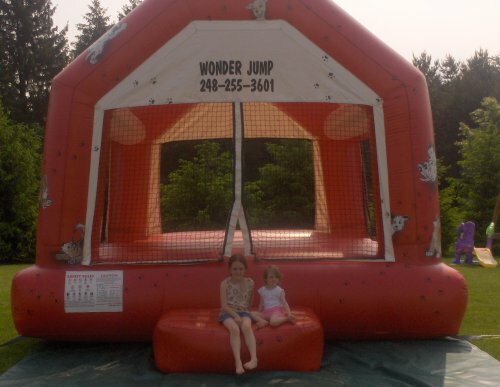 A favorite among all ages, the moonwalk fits 8 to 10 young children. Size: 15'w x 15'h.